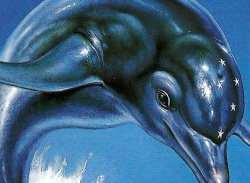 Travel through the time along with Ecco the dolphin, in the only game that could call itself a 'dolphin simulator'. 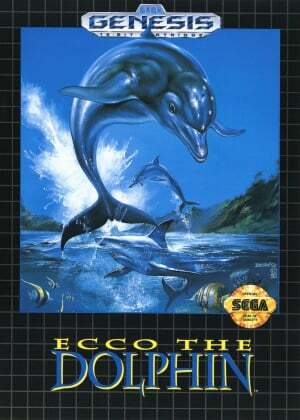 Travel through the time along with Ecco the dolphin, in the only game that could call itself a 'dolphin simulator'. Indeed, you can do pretty much everything a typical dolphin does, including eating fishes, surface in order to breath, using your biological sonar and of course jump out of the water to amaze your friends. The storyline is actually deeper that one may think by looking at the box illustration. As Ecco, you are the only dolphin which managed to escape from the giant whirlpool who sucked down its entire pod. The five shining stars on your front show you are the chosen one to save them. But that task will be not be an easy one, as you will have to travel time and space with the Atlantean time machine, and meet the mystical Asterite in order to defeat the vortex queen. No comments on old ECCO? this was always one of those games that people wanted to like but eventually got bored, probably around the same point as me. Second level, trying to move or break some crystal blockages, i could never figure out what to do and found myself just doing flips out of the water over a rock to kill a few minutes. Then i never played it again. ECCO might be alright if you get into it but the lack of comments suggests it didnt have a paticularly strong fan base. 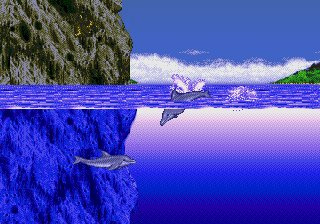 Still though, the novelty of playing a dolphin is pretty neat, if only for 10 minutes rock hopping but probably's not worth a download. 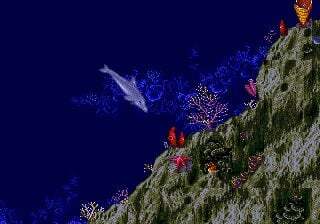 I played Ecco when it came out and I beat the game. retpos55 is right, but you just have to have the patience to figure things out sometimes. The rest of the game is great after the 2nd level, lots of cool effects, storylines, adventures.. etc.. Interesting locales also.. great game! Best game ever! Aesthetically brilliant, fantastic atmosphere, great Soundtrack!! Right now I am on the 5th level, I believe. 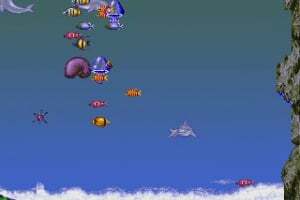 I'm saving a bunch of dolphins but it proves to be difficult as I have to micro manage by breath and life, while pushing some stars with my sonar and swimming slowly past an octopus.. this level is difficult. I'll keep you gamers posted on the next few levels to help you decide whether to DL this game. It is a unique action adventure game that is both relaxing and seriously stressful at times. Yeah, the 5th level is annoyingly long and difficult for being so early in the game. 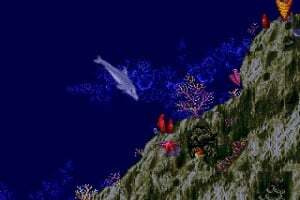 Ecco really picks up after this level, though - it's an amazing game, and 3 stars is way too low for it. 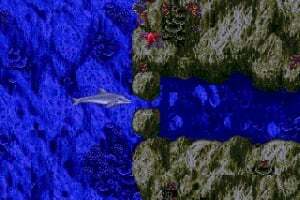 I hope Tides Of Time (Ecco The Dolphin 2 which some people call) will make onto VC, that was defiently the best game of the ECCO series. I've tried to like this as I love the sequel, but I think the mechanics for some of the puzzles are way too frustrating, like when you guide a sinking object with your nose and it keeps falling down. 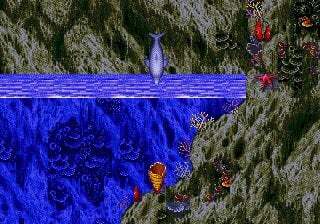 I think a lot of the problem that I remember hearing of when I was younger with Ecco was that it was "too bloody hard!" 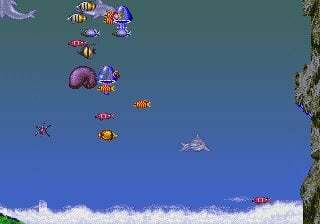 Of course, a gamer's determination and a love of Dolphins saw this through to completion in my more youthful days, eventually I made it to the machine and the squid-like alien boss thing, which I promptly beat. The feeling of satisfaction after completing that game was one that I remember to this day, and few others have left such a mark on my memory. I was so proud that I even commited the boss battle's code to memory, and I remember that to this day (though mostly because my memory won't dump it). At the time, the game was visionary and it's inspired a lot of games we see around us today, even one that's stirring up a lot of interest in PC indy circles at the moment. The Dreamcast installment was incredible too, of course it wasn't as loved as it should've been because it was once again "too bloody hard!" I saw that one to completion aswell for the same reasons and I don't regret it. These days though, I'd have to agree with Damo, that there are better things around, including the Dreamcast Ecco. I honestly don't think that the Dreamcast Ecco has been topped yet though, at least as far as games depicting underwater environments are concerned (and if anyone can prove otherwise, please do share!). So I'd recommend going straight to the Dreamcast Ecco instead of buying this, as that's much more worthwhile. Still, for those that have played the Dreamcast version of Ecco and those who might be curious of the roots of the game and where it all started, this is a fun little piece of academia. 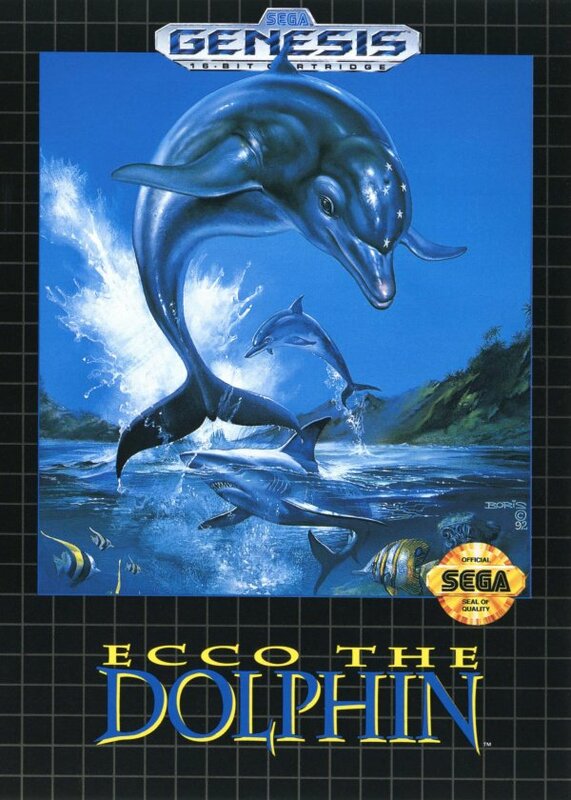 The Ecco games are hugely under-rated by tons of people, and should be given a try by everyone before they pass judgement. It's not as good as Ecco 2, but still great. You know, after finishing this game I've realised how good the original really is. The level design throughout is perfect, much better than that of the sequel and the gameplay is better. I also prefer the music, and travelling to the past is better than the future in Ecco 2. 3 stars for one of the best VC games? This is madness!! Those are the main bad points (for most) you pointed out I think, they just don't annoy me as much. One thing you didn't mention (maybe because you didn't play for long enough) is the difficulty. It`s fun and all, traveling through time and space, BUT THE LAST LEVEL IS BLOODY IMPOSSIBLE! I never knew what to do in that part, it was just the boss and a henchman, and for some reason, I wasn`t hurting them, no matter what I tried. To beat the last boss, you need to use the sonar on it's eyes until they explode, then tacle the boss' jaw from the side 12 times. It's not that hard once you learn the thing's pattern, but it's easy to die, and repeating the last level every time is not fun. This was one of the first games I downloaded and was really enjoying it until I got a new HDTV and cable for my Wii. Ever since then I can't play it with that cable since the screen is all messed up! I can't be bothered to keep swapping cables as its hard to reach round the back of the TV just to play this game. I'm really disappointed and don't think I'll be downloading any other Megadrive games anytime soon. This has to be the hardest Ecco the Dolphin game out of the series. 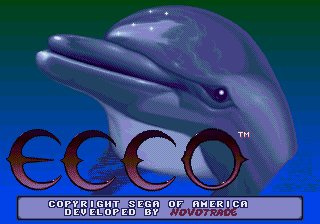 Its a toss up between this game and Ecco defender of the future. Ecco 2: The Tides of Time wasnt that hard but then again when i first played it i used the cheat code to get through the whole thing. Oh, i used to HATE this game... But I came back few years later with more patience and experiences and it really does open up into a fantastic experience. It's no thrill ride, but it does offer something else very special. Ecco puzzles me, literally AND metaphorically. The idea is good but I agree with Damien. The difficulty is too unbalanced. And from when I saw the description, I thought the game was a simulation for kids. Still a worthwhile buy, so long as you like the genre. I'd give Ecco 3/5 stars. This is one of those games that my grandparents bought me and it just used to sit in my closet and gather dust. Gave it a couple shots, but I could never get into it enough to get very far. Too many jellyfish. Good music, tho, and great sound FX. The reviewer forgot to tell that the sonar also shows the map ! It´s very important thing.